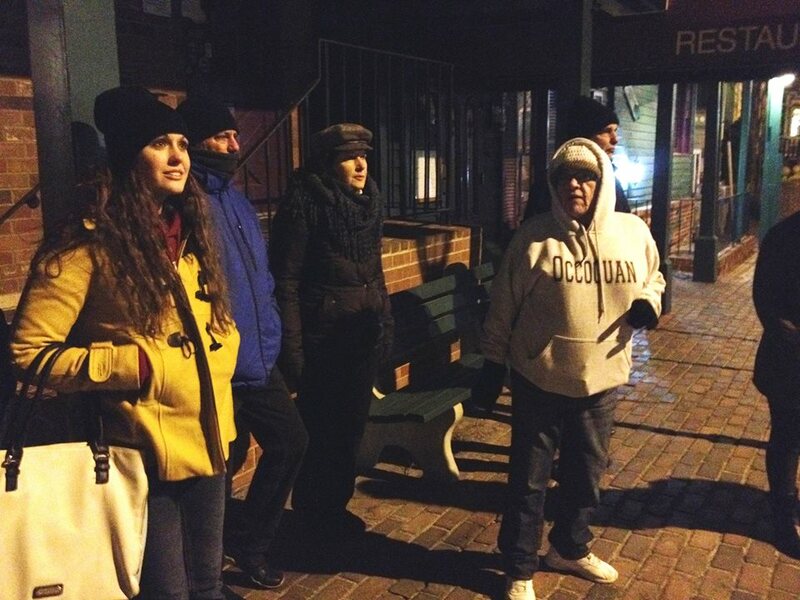 On the evening of Saturday, March 28, in historic Occoquan, Va., a group of TPSMA volunteers and Board members braved the freezing temperatures to join in a ghost walk led by Kay Pietrewicz, owner of Haunted Occoquan Tours. Kay generously donated 25% of ticket sales to benefit the Turning Point Suffragist Memorial. Kay is also a fantastic tour guide! She is a lover of history and a paranormal investigator, and her unique perspective of the town makes for a fun, informative and very spooky evening. Thank you, Kay, for a memorable night, and for your support of TPSMA!